Vice Foreign Minister Zhang Yesui declined to provide any guidance on how much defence spending would rise, as has been the custom in recent years the day before the legislature opens. 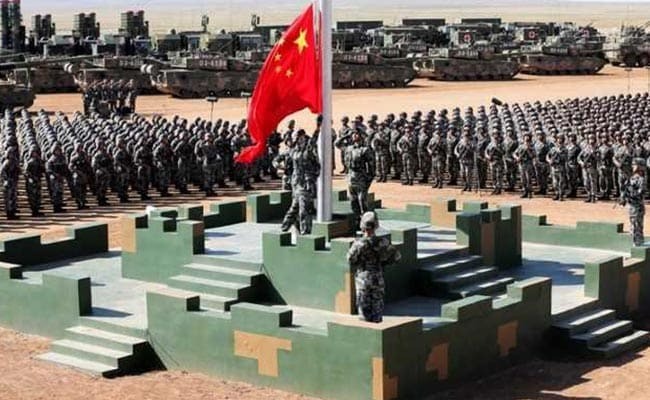 Beijing, China: China's "moderate" defence spending rises in the past few years have been to make up for past deficiencies and the country's military will not threaten anyone, a senior diplomat said on Sunday ahead of the release of the defence budget. How much China spends on its armed forces is closely watched around the region and in Washington for pointers about the country's broader strategic intentions amid an impressive modernisation programme that has included developing stealth fighters, aircraft carriers and anti-satellite missiles. Last year military spending was budgeted to increase by just 7 percent, to 1.044 trillion yuan ($164.60 billion) about one-quarter of the proposed US defence spending for the year. Speaking ahead of Monday's release of China's national budget by parliament, Vice Foreign Minister Zhang Yesui, who is also parliament's spokesman, declined to provide any guidance on how much defence spending would rise, as has been the custom in recent years the day before the legislature opens. Zhang said all countries adjusted their military spending depending on defensive needs and the state of the economy. "In recent years, China has moderately raised defence investment," he told a news conference. "Part of it has been to make up for past investment deficiencies, mostly on renewing equipment (and) improving material benefits for soldiers," Zhang added. However, proportionally, China's defence spending is less than other major countries, he said. "China has always upheld the path of peaceful development, and practices a defensive defence policy. China's development will not constitute a threat to any country." US President Donald Trump has proposed a military budget that is the largest since 2011 and focused on beefing up the country's nuclear defences and countering the growing strength of China and Russia. The proposal, part of Trump's budget request for the US government, would provide the Pentagon $617 billion and an additional $69 billion to fund ongoing wars in fiscal year 2019. That is $74 billion more than in the budget for the previous fiscal year. With worries about potential disputes with the United States over the South China Sea and the status of self-ruled Taiwan, China's military had mounted what defence sources and diplomats viewed as a lobbying campaign for more spending. The actual number for defence spending should be released on Monday, when China's largely rubber-stamp parliament begins its annual session, though last year it was initially not announced, prompting concerns about transparency.